Since this is the 13th yahrzeit, some of Reb Shlomo’s followers are billing this as 'Reb Shlomo’s Bar Mitzva in Heaven.' So what could be more appropriate for this Bar Mitzva than some Reb Shlomo tefillin stories? This first story is straight from Yitta Halberstam Mandelbaum’s magnificent ode to Reb Shlomo, "Holy Brother," pages 96-97. In the 1970s, Shlomo Carlebach embarked on the first of many pilgrimages to the former Soviet Union to reach out to and inspire a disenfranchised Russian Jewry. Since the early days of Communism, three million Jews had effectively been deprived of all forms and structures of religious expression and practice, and had been physically isolated from their brethren worldwide. With the publication of Elie Wiesel's landmark Jews of Silence and the establishment of the Student Struggle for Soviet Jewry (SSSJ), the attention of international Jewry had finally become riveted on the plight of their Soviet brothers, and a massive global outcry was raised on their behalf. When the first fissure in the walls blockading them appeared and travel restrictions were subsequently eased, Shlomo Carlebach was among the earliest Jewish leaders to travel to Russia, seeking contact with this beleaguered group. On his first visit, Shlomo smuggled in siddurim (prayer books), machzorim (holiday prayer books), Jewish tapes, Hebrew books, yarmulkes (skullcaps), tefillin (phylacteries) and other religious paraphernalia. The Russian Jewish activists with whom he met accepted them gratefully, and within a few short days, all the religious materials he had brought along with him were gone. On his last day in Moscow, Shlomo was packing and preparing to depart for the airport, when he heard a timid knock on his hotel door. A young boy stood on the threshold and whispered urgently, ''Please can I come in?" Inside the room, the boy turned to Shlomo and said, "I hear that you are distributing tefillin and yarmulkes. I came to get a set for myself.'' Shlomo looked at the boy mournfully and said very gently, "My holy child, I am so sorry, but I have given them all away. There is nothing left." Instantly, the boy threw himself on Shlomo's bed and began to cry wildly. ''Holy brother!'' Shlomo sat down next to the boy, putting his arm around him, ''Why are you crying so hard? ''Next week is my Bar Mitzva. I have been secretly studying Jewish texts with some other boys my age, and although my knowledge is limited, I know enough to know that on one's Bar Mitzva day, one is instructed to don tefillin for the first time. There's no place in Russia where one can obtain them, and I only heard today that you were distributing them. As soon as I heard about you, I rushed here immediately. I want so badly to fulfill this mitzva. You were my only hope. I can't bear the disappointment!" And the young boy began to cry again. Thoughtfully, Shlomo looked at the boy, turned to his suitcase, and took out his own personal pair of tefillin and handed them to him. 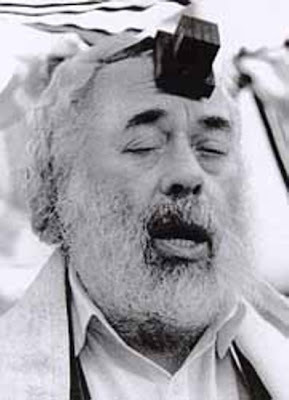 "My holy father, blessed be his memory'' said Shlomo, "gave me this pair of tefillin when I was Bar Mitzvahed. They have very deep, sentimental value for me. I'm not attached to my possessions, and in fact own very little in my life. From the tefillin, however, one of my last links to my deceased father, I thought I would never part. But if it means so much to you to have tefillin for your Bar Mitzva, then I will gladly give you mine." The young boy, unaware in his naivety of the enormity of Shlomo's sacrifice, took the tefillin happily and murmured his thanks. As he was about to leave, he turned towards Shlomo once again and in a plaintive tone asked, ''But what about a yarmulke? Shouldn't I wear a yarmulke at least on my Bar Mitzva day?" "My holy child, I am so sorry, but I gave away all the yarmulkes too." As the boy's eyes began to well up with tears, Shlomo hastily took off his own yarmulke and handed it to him. ''It would be my privilege and honor if you would please take mine." The boy took the yarmulke, kissed Shlomo's hand, and left. Shlomo Carlebach had never walked anywhere in the world without a yarmulke, but on the day he departed from his first visit to Russia, he left bareheaded. Later that morning, on a connecting flight to Israel, he saw a group of Jewish men davening (praying) in the aisles, and he asked one if he could borrow his tefillin when he was finished using them. "Oh, my holy brother,'' said Shlomo gently to the man. If only you knew the story behind the missing tefillin and if only you knew the story behind the missing yarmulke. If only you knew…"
An interesting postscript to this story is another [shorter] tefillin anecdote. This is from an interview Reb Shlomo gave after visiting the Soviet Union in 1989. Question: You have arrived at faraway places and heard stories from the mouths of Jews that no man besides you has heard. Rabbi Shlomo Carlebach: The wisdom is being at the right place, at the right time and to say the right words. I have merited to get to many Jews exactly at the time that their hearts were open to the Master of the World. One time I was in a city and a student volunteered to drive me to the airport in the morning. When he got to me in the morning in the hotel, I was absorbed in prayer. He saw how I removed my tefillin, and then he asked me for them and began to pray. And his was the highest praying. This young man told me that just yesterday he didn't believe in anything - only science. I left him my tefillin. Ten years passed and I reached a concert in Sydney, Australia, and suddenly a little boy of 6 and a little girl of 8 come to me and brought me my tefillin. I asked them how my tefillin got to them. Then their father appeared, and he told me that he moved to Australia and wanted to marry a non-Jewish girl, but "every time I saw the tefillin, I changed my mind." He didn't put them on every day, but they guarded him, and in the end he married a Jewish girl and established a Jewish school for his children, who are real Jews! How many stories like this I have! If only we are ready to get to someone that needs us, at the right time. Today, 11 MarCheshvan, is the 210th yahrzeit of Rebbe Menachem Nachum, founder of the Chernobyl Chassidic dynasty. He was a student of the Baal Shem Tov and the Maggid of Mezritch, and one of the pioneers of the Chassidic movement. Read more at last year’s post, A Taste of Captivity. There is also a fine story about him called "Who’s Saving Whom?" in my post on the Cherkasser Rebbe. This story, from the L’Chaim Weekly website, was edited and supplemented by yours truly. 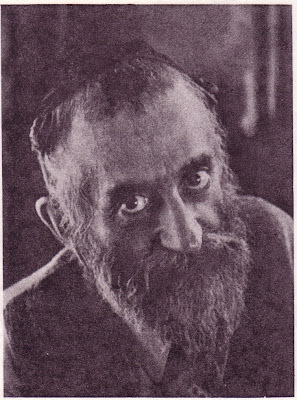 Rebbe Nachum of Chernobyl felt the suffering of his fellow Jews deeply. Whenever he was not engaged in Torah study or prayer, he would devote himself to helping his fellow Jews in any way he could. Although he was a poor man himself, he would collect large amounts of charity to distribute to the needy. He spent much time traveling through towns and villages to discover what spiritual or physical needs he might be able to fill for his beloved brethren. Rebbe Nachum was concerned not only with the lack of material possessions, but also the spiritual poverty which endangered his Jewish brethren's holy souls. In every place he visited, Rebbe Nachum would ask, "Do you have a shul? Do your children have a teacher? Is there a mikva here?" After he identified the needs of the community, Rebbe Nachum set about raising funds. On one of his travels, Rebbe Nachum visited a small village which had no mikva. He was informed that since the village was located on a high elevation, it would be prohibitively expensive to dig down until one could find a natural source of water. Those villagers who could afford it would travel a distance to a larger neighboring town. In the winter, when the roads were often muddy, these trips were nearly impossible. 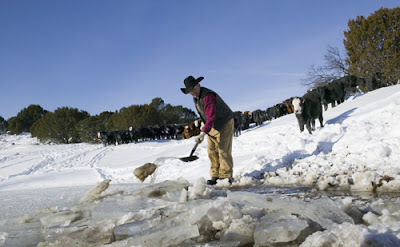 In addition, the poor would have to break through the ice in a frozen body of water in order to purify themselves. Of course, Rebbe Nachum resolved to have a mikva built for the village. When he returned home, Rebbe Nachum approached a wealthy member of his congregation with a startling proposition: "If you will pay for a mikva in the village I have just visited, I will sell you my portion in the World to Come." The rich man was stunned by Rebbe Nachum's offer but accepted it immediately. "This is what I have concluded regarding my situation. Although I may not have money, I do have one very valuable possession, and that is my portion in the World to Come. I have found that people are willing to put a price on anything. There are even such people who will put a price on the after-life. Since that is the case, and I cannot fulfill my duty to love G-d with 'all my might' in any other way, then I am obligated to sell this property to meet my obligation." Why Did He Have to Travel? Aware of his talents as a powerful speaker, Rebbe Nachum never entertained the idea that people should come to him to hear him speak. He dedicated much of his life to traveling around, spreading Torah and Chassidus. There was nothing that could interfere with his fulfilling this burning desire. He harnessed his meager horse himself, sat in his shaky wagon, and traveled, winter and summer, without paying any attention to the heat or the cold. Neither pouring rain nor snow could deter him. There wasn’t a town or village that he passed by; wherever there were Jews, he made an effort to get there. If his horse tired, or the wagon’s wheel got stuck in the mud, he simply set them aside, and made his way by foot to the town’s beis medrash [study hall] to give a drasha [sermon]. He thus fulfilled his holy mission: to bring the Jewish People closer to their Father in Heaven. Rebbe Nachum’s ahavas Yisrael [love for his fellow Jews] was aptly demonstrated when, on one of his many journeys, he came to a town which had many Misnagdim [those who opposed and were skeptical of the Chassidic movement]. One of them asked him, "If you believe in the Gemara which says that a person's sustenance for the year is determined on Rosh Hashana, why do you need to travel away from home? Why don't you remain in town, and your livelihood will come to you?" His answer was, "You should know that on High it is decreed for each person's occupation, how much he will earn for his sustenance. For example, if he's a tailor, it is delineated how many suits he will make, and how much he will earn on each one. It is similarly so for a shoemaker. "But I am neither a tailor nor a shoemaker; I merely receive from people. Up Above it is decreed how much each person will give to give me, but since people don’t remember to give me, what is done on High? It is decreed that this one should, G-d forbid, become sick, or some other troubles should befall him, and then he remembers to come and bring me that which it was decreed to bring. But I don't want troubles to befall people, so I travel to them and receive from them all that they were obliged to give me. In this way, they are spared from Divine punishment." Zechuso yagein Aleinu - May Rebbe Nachum's merits protect us! Let it Rain, Let it Pour! While we started praising Hashem as the giver of rain on Shmini Atzeres, we only start requesting rain on the eve of the seventh of Cheshvan. The reason is that the pilgrims who come to Yerushalayim for Sukkos need about two weeks to get home, and it would be inconsiderate to pray for rain while they are still on the road. Of course today there are no pilgrims, and even if there were they would be traveling in closed motor vehicles protected from the rain. One might think that in the time of the Temple refraining from praying for rain until Cheshvan carried a message of consideration, but today when there are no pilgrims this custom has lost its ethical meaning. In reality, in the time of the Temple this custom carried a message of consideration, but today the custom has a double meaning - the ethical message remains, and an historical message has been added. In the time of the Temple, one who asked why there is a delay in requesting rain would have learned an important lesson - we have consideration for the pilgrims. Someone who asks the question today receives the same lesson, plus an additional one since we explain to him the former glory of Israel in the time when the Temple stood and pilgrimages were made three times a year. This first one, from Rebbetzin Heller, is an excerpt from a longer piece from the Aish HaTorah website. 2. A rainy day is greater than the day the heavens and earth were created. 3. It makes salvation multiply. 4. It tells us that our sins are forgiven. 5. Whatever we own is blessed. 6. It is greater than the day when the exiled Jews return to Israel. 7. Even the armies are stopped by its force. Why is rain considered to be greater than the most significant moments in all of history? In what sense is it s source of inspiration and blessing? The answer is that we were put in a physical world with all of its temptations and inherent concealment of G-d's presence. Our role is to light a candle in a dark place, and let the goodness that it reflects illuminate the entire world. Rain gives everything material life. G-d is as much there as He is in the realms of being. There is one critical difference. In the higher realms of being, and in the more dramatic moments of history, it took very little soul searching for us to know G-d. When the world is in its less dramatic mode, far more is required for us to have an authentic relationship to the world's Creator. I’ve already presented this story in my posting on the Bas Ayin, but because of its relevance to Rain in Israel, it is worthwhile presenting again. When he was already elderly, Rebbe Avraham Dov of Avritch settled in the Holy City of Tzfas. But although he had waited many years for the opportunity to bask in the spiritual light of the Land of Israel, once there he found life in the Holy Land too difficult to bear. The hardships were all too apparent, while the holiness of the land was hard to discern. When he felt he could bear no more, Rebbe Avraham Dov began to think of returning to his home in Avritch. "After all," he reasoned, "I left my relatives and my students behind in order to live in the land, but it's all to no avail, for I am suffering so bitterly. Let me return to Avritch, and they will be happy to see me, and I will be glad as well." When Rebbe Avraham Dov reached the decision to return home the rainy season in Israel was approaching. One day, as he was walking to the synagogue for the afternoon prayer, he heard noises coming from the surrounding rooftops. He couldn't identify the strange sounds, and he asked the people he passed, "What is happening? Where are these noises coming from?" The people were amused that he didn't know. "Here, in Tzfas," they explained, "we have the custom of performing household chores on our flat roofs. We also use the roofs for storing food and other household supplies. The noise you hear is caused by the women scurrying about, removing all these things from the roofs." "But why are they doing that?" Rebbe Avraham Dov asked. "Why so that nothing gets ruined by the rain, of course," was the incredulous reply. But Rebbe Avraham Dov was still confused. He looked up at a sky as blue as the sea when there are no waves in sight. "It certainly doesn't look like rain," he said, hoping for some further explanation. "Surely you remember that tonight we say the prayer for rain. We beseech G-d to remember us and send benign rains to water our crops and provide water for us. Since we are sure that our Father in Heaven will hear our prayers and will heed our request, we take precautions so that our possessions won't be ruined when the rains come." The unquestioning faith of the people affected the Rebbe deeply. Suddenly his eyes were opened and he saw the sublime heights of faith achieved by the simple Jews of the Holy Land. His pain and disappointment were replaced by a sense of awe at the holiness of the land and its people. At that moment, he abandoned all thoughts of returning to Avritch and began a new leg of his own spiritual journey to the holiness the Holy Land. And finally, from Reb Shlomo Carlebach. But first, an important link for those who love his niggunim: Reb Shlomo Carlebach Radio -- a new website, from England, with round-the-clock Reb Shlomo niggunim! Don’t miss it! And here I want to share with you something awesome, awesome: You know, I can give everything away, but I cannot give my breath away. You know what the deepest reviving of the dead is? That I am giving you over these deepest depths which cannot even be given. And this is the month [Cheshvan] when the Third Holy Temple will be rebuilt. And there is nothing more alive than water. There is no way of getting rid of evil smell, only with water. You know why water makes everything grow? Water has so much life. The moment water touches the earth, water gives new life to the world, like giving over breath. You know what it is? Why do we go to the mikveh? Because I'm mamash dead, right? Whenever you make a mistake, you're half-dead. You know what the deepest depth of friendship is? Not someone who tells you that you did right or wrong. The greatest friendship in the world is if you can revive someone. Reviving somebody is not be telling them what or what not to do. It's a little holy fragrance. If someone is very, very half-dead, give them a little something to smell. You know, [on] Rosh Hoshana, Yom Kippur, Sukkos, I'm praying to G-d and G-d gives me everything. I share it with the world. Then comes Simchas Torah and the last day, I realize, all this is not enough. Master of the World, I want YOU to give me something where the giving doesn't end. I want YOU to give me something so deep, I can revive the world with it. And here on that day, I pray for geshem (rain). I pray for water. I pray for this one drop of water which is so, so deep. "Ushasvtem mayim b'sasson - Drawing out the water in joy." A good Shabbos, a good Yom Tov, a good Chodesh!! Enjoy the Rain, let it come now!!! Today is Daled [the 4th of] MarCheshvan, and the 64th yahrzeit of the holy Rebbe of Piaseczno, Rebbe Klonymus Kalman Shapira. He was born in Grodzisk, Poland to his father, Rebbe Elimelech of Grodzisk. Named after his maternal great-grandfather, the renowned Maor VaShemesh, he was a scion of a distinguished family, which included the Rebbe Reb Elimelech of Lizhensk, the Chozeh of Lublin and the Maggid of Kozhnitz. At the age of three, he was orphaned by the death of his father. 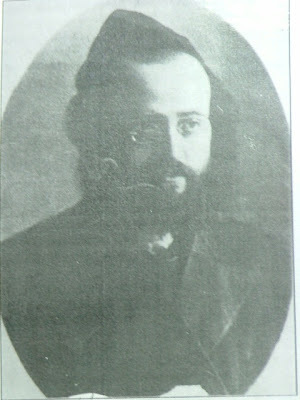 In 1905 he married Rachel Chaya Miriam, daughter of his nephew Rebbe Yerachmiel Moshe of Kozhnitz. A Song of "Holy Fire"
Rebbe Klonymus Kalman Shapiro z"l (the "Piaseczno Rebbe," also called "the Rebbe of the Warsaw Ghetto") wrote upon turning forty years old: "What resolution can I make - to learn more Torah? I think that I already waste very little time. To control my desires? Thank G-d I am not subjugated to them. What am I lacking? To be a Jew." Zechuso yagein Aleinu v’al Kol Yisrael – may the Piaseczno’s merits protect us all! What Can the Angel Michael Say for You? 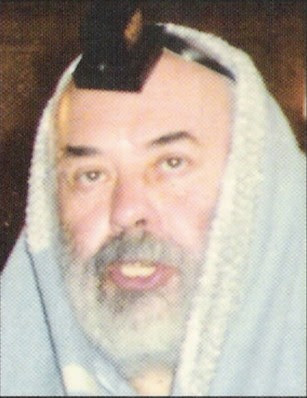 Tonight is the 25th of Tishrei, and the 197th yahrzeit of Rebbe Levi Yitzchak of Berditchev. The Berditchever is one of the legendary figures of Chassidus, revered for his enthusiastic dedication to Torah and Mitzvos, but above all for his consuming love of G-d and his people. He became known as the defender of the people of Israel. He would argue with G-d, charging Him with being too stern a father to His children, pleading for an end to the long and cruel exile. His work Kedushas Levi is a classic collection of Chassidic thoughts arranged according to the weekly Torah portions; it includes a commentary on Pirkei Avos, and an appendix containing a number of anecdotes that reflect his saintly life and his role as attorney for the defense of the Jewish people. More about him, and especially his Negina, can be found in my previous post, Longing for the Singing and a New Beginning. The following story is another gem from Rabbi Abraham J. Twerski’s wonderful book, Not Just Stories, lightly edited for my blog. We must exercise great caution regarding the disputes between the Chassidic masters. We are accustomed to arguing over turf or because of rather selfish personal interests. This was definitely not the case in disputes between Chassidic masters. We may not be aware, even to this day, why these spiritual giants were occasionally involved in sharp disputes, but the following example can show us that these were not petty arguments. This otherwise unchallenged tzaddik was the target of the sharp words of the Rebbe Reb Baruch of Medzibuzh, the grandson of the Baal Shem Tov. Rebbe Baruch never missed an opportunity to mock Rebbe Levi Yitzchak and belittle him. It was widely known that Rebbe Baruch was sharply critical of Rebbe Levi Yitzchak. One time, two merchants of Medzibuzh went to Berditchev for business, and went to see for themselves what Rebbe Levi Yitzchak was like. When they entered, they found Rebbe Levi Yitzchak to be standing in prayer, and in the midst of his prayer, he ran over to one of the merchants, seized him by the lapels, shook him and said, "What can the angel Michael possibly say about you?" and then returned to his prayers. When the two returned to Medzibuzh, they hurried to Rebbe Baruch to tell him of Rebbe Levi Yitzchak's bizarre behavior, hoping to give him more material to scoff at him. When the merchant related how Rebbe Levi Yitzchak had accosted him, Rebbe Baruch suddenly shouted at him, ''You scoundrel! You thief! I demand that you promptly return the money that you stole from your comrade.'' The man was shocked into admitting that he had stolen some money from his friend. Rebbe Baruch's attacks on Rebbe Levi Yitzchak were thus hardly of the nature of a personal feud. Zechuso Yagein Aleinu v'al Kol Yisrael - May the Kedushas Levi's merits protect us all! I FELT THE REBBE…THROUGH HIS NIGGUN! Tonight, Isru Chag [Simchas Torah in Chutz L’aretz, the Diaspora], is the 26th yahrzeit of Rebbe Ben Zion Chaim Shlomo Meshulam Zusia Twerski, ztvk"l, Admor of Hornosteipel and Rav of Denver, one of the foremost Rebbes, in my opinion, of the 20th Century. The Rebbe’s words reverberate in our hearts, and continue to inspire us till this very day. You can read more about him in last year’s post, A Daring Beginning; as well as my post from two years ago, Rebbe Shloime Twerski, Ztvk"l.
Although my blog is not a typical "diary" style where I record my personal experiences day after day, I do want to share a personal incident which happened to me today. But before that, a brief intro. Musa Berlin, the renowned klezmerist/clarinetist who played for many years with Reb Shlomo Carlebach, has noted that whenever he plays Reb Shlomo’s niggunim, he can feel Carlebach’s presence, as if he’s accompanying him as he did in the past. But moreover, there’s an amazing story in Yitta Halberstam’s book, Small Miracles for the Jewish Heart [pp. 93-100]. There she recounts a story that occurred during the Shiva [seven-day period of mourning] for her father. She read a poem her father had written in Yiddish, and then, "as I read the poem, my heart ached for my father…and suddenly, as if a spell had been cast over me…I began to write a poem myself…When I finished writing the poem, I shook myself out of a mental state…that I felt was more akin to a trance…Looking at the notebook in my lap, I shook my head in disbelief…What made me tremble in fear was the fact that I, Yitta Halberstam – whom everyone teased about her broken Yiddish…I had just written a piece in flawless literary Yiddish." The story goes on to relate that two days later she wrote yet another poem in flawless literary Yiddish, and when questioned as to who really wrote the poems, she writes: "And having pondered this very same question myself during the dark nights of longing for my beloved parent, I could only answer them with what I knew was the absolute truth: 'My father.' " [Please read the whole story, for I have only touched its surface here]. Now here’s what happened to me: the Gabbai of our Shul asked me to daven Shacharis [lead the morning prayer] on Simchas Torah morning, which includes Hallel [Tehillim/Psalms 113-118]. Often I try to 'prepare in advance' what niggunim to sing for the various parts of the Tefillos. But since I don’t know when I’ll be called, I often walk to Shul thinking of niggunim I’d use in case I’m called upon. So, among other tunes, I thought of using Rebbe Shloime Twerski zt"l's niggun for Lo Amus - Pischu Li in Hallel. It’s a very soulful and moving tune, and one of a handful that we have from him. In addition, it is somewhat difficult to sing, and also not well-known, which means it’s basically going to be a "solo". When I got to that part of Hallel [Tehillim 118:17-20], I started this niggun. Somewhere in verse 18, I think it was with the words "and He has not given me over to death," I felt the Rebbe’s presence so strongly that I almost choked with tears as I was singing. I did not close my eyes and see his face; it was just a very strong feeling of his presence very close to me, apparently something like the anecdotes of Musa Berlin and Yitta Halberstam mentioned above. Zechuso yagein Aleinu v’al Kol Yisrael - May Rebbe Shloime’s merits protect us all!